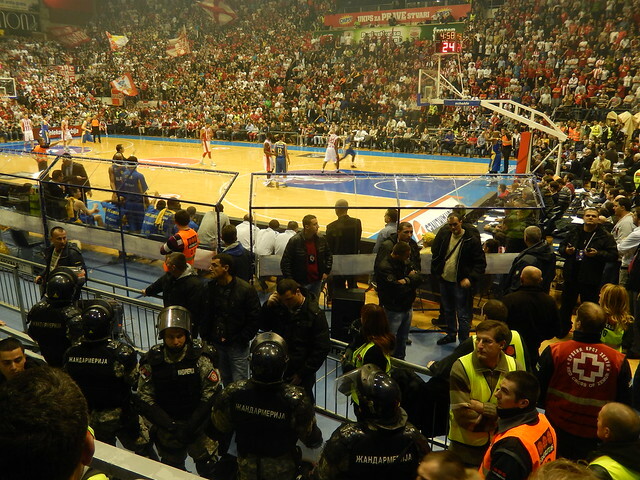 On Thursday evening I attended the Red Star Belgrade versus Tel Aviv Maccabi Elektra Euroleague Basketball game. 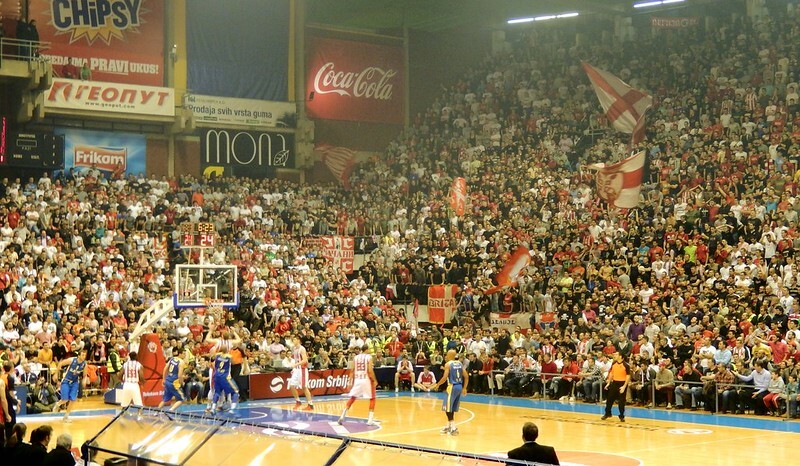 The first round game was held in the famous Pionir Hall, in my opinion, the best venue to watch a basketball game anywhere. My Israeli friends invited me to attend the game in the Maccabi fan section and as you can see by the security in front of the section, we were well protected from the rabid Red Star fans. Red Star, after being behind the entire game by 10-15 points, came back in the fourth quarter and had a couple of opportunities to win the game in the final moments, but lost. The crowd was so loud and the game very back and forth with both teams making great plays, it was a thoroughly entertaining evening. It was interesting being in the “enemy” section. I did not feel threatened and there was much good natured back and forth between the Maccabi fans and Red Star fans. We had to wait about 30 minutes after the game finished to walk out, and I got to my car and home without incident. Serbia loves basketball and I highly recommend the Pionir Hall basketball experience! You will not forget it.